SBS is the youngest of Australia’s five free-to-air networks. Announced in the late 1970s as a spin off from the multilingual radio stations (2EA Sydney and 3EA Melbourne) that the Government had launched in 1975, the new television channel would provide programs aimed specifically at the growing number of Australian citizens for which English is not their native language, and also would reflect the various aspects of Australia’s now multicultural society. Operated by the Special Broadcasting Service, the new television service made its first appearance on air in April 1979 with a test transmission broadcasting a compilation of special multicultural programs on ABC stations ABN2 Sydney and ABV2 Melbourne on Sunday mornings. On Friday 24 October 1980, the new Channel 0/28 made its official debut at 6.30pm in Sydney and Melbourne. Bruce Gyngell, who appeared on the opening night of Australia’s first TV station TCN9 in 1956, was the first to appear on Channel 0/28. After Gyngell’s opening introduction and the official opening from Prime Minister Malcolm Fraser came 0/28’s first program, a documentary by Peter Luck called Who Are We?, and later in the evening an Australian adaptation of the Greek comedy Three Sea Wolves. Channel 0/28’s arrival also marked the introduction of UHF television in Australia by broadcasting via UHF Channel 28 in Sydney and Melbourne, in simulcast with VHF transmissions on the channel 0 frequency. The station faced an uphill battle in its early years to gain viewers, with the UHF band being new to Australian viewers, and also problems faced by the use of the channel 0 frequency particularly in Sydney where many TV antennas were not compatible with the 0 frequency. By the end of 1980, Channel 0/28 had launched its widely acclaimed World News with newsreader George Donikian, and its own variety program Cabaret. In 1982, community television made its first appearance with a series of test programs screened on 0/28 from community TV group Open Channel. By the late 1980s a weekly program, Windows, would provide a glimpse at television produced by community television groups and would be the predecessor to full-time community TV channels that popped up in the mid-1990s. In October 1983, Channel 0/28 made its first move to extend beyond Sydney and Melbourne with commencement of transmission in Canberra, Goulburn and Cooma — all on the UHF band. At the same time Channel 0/28 became Network 0/28 and unveiled a new signature theme ‘Bringing The World Back Home’. 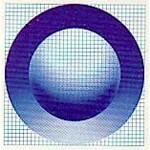 On 18 February 1985, Network 0/28 became SBS and began its first regular daytime transmissions. 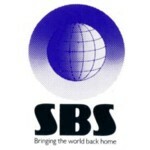 SBS expanded to Brisbane, Adelaide, Newcastle, Wollongong and the Gold Coast on Sunday 30 June 1985. On 5 January 1986, SBS ceased its VHF transmissions on Channel 0 in Sydney and Melbourne, making it Australia’s first sole UHF network. The network expanded to Perth and Hobart on 16 March 1986, and Darwin in 1994. The future of SBS was cast into doubt later in 1986 when the Federal Government announced plans to pass legislation that would merge the two national broadcasters ABC and SBS, effective 1 January 1987. The proposal was protested by SBS and the various multicultural communities and by 1987 Prime Minister Bob Hawke announced the merger would now not proceed. In 1990, SBS is given Government approval to seek sponsorship funds for its telecast of the FIFA World Cup. This would be a predecessor to SBS carrying limited amounts of paid advertising (up to five minutes per hour) on both television and radio services from 1991. Programming highlights from the first twenty years have included the 1982 award-winning mini-series Women Of The Sun; the American mini-series The Civil War; music programs Rock Around The World, The Noise, MC Tee Vee and Alchemy; drama series including The Girl From Steel City, City West, House Gang and Going Home; current affairs programs Dateline; Aboriginal affairs program ICAM; the long-running Movie Show; the American animated cult favourites South Park and Happy Tree Friends; the annual Eurovision Song Contest; and of course the network’s proud soccer coverage which brought the game to Australian prime time television for the first time — in particular the FIFA World Cup telecasts which have achieved the network’s highest ratings ever. Digital television arrived on 1 January 2001, and SBS began simulcasting its analogue service in digital in Melbourne, Sydney, Brisbane, Adelaide and Perth. By mid-2002, SBS launched its first digital-only channel, the SBS World News Channel, dedicated to continuous news broadcasts from around the world in languages other than English. By June 2006, SBS had expanded digital television services to 161 transmitter sites across metropolitan and regional Australia. In 2004, SBS entered into an arrangement to share Olympic Games telecast rights with the Seven Network, providing up to 15 hours a day of Olympic events coverage. SBS also packaged daily highlights of Olympics coverage for the Asia-Pacific Broadcasting Union. A controversial change in the network’s on-air presentation followed in 2006, with commercial breaks now being inserted within programs rather than the previous method of only airing commercial breaks in between programs. This change was met with criticism from supporters of SBS and also some of its own staff, not least being the station’s veteran news presenter Mary Kostakidis. The nightly news bulletin, World News Australia, was expanded from a half-hour to one-hour format on 22 January 2007 with former Seven Network presenter Stan Grant joining Kostakidis at the news desk, but by the end of the year both news presenters had departed the network. The following year saw SBS embark on a local versions of popular UK programs Top Gear and Who Do You Think You Are?, another joint telecast of the Olympic Games with the Seven Network, and a new logo accompanying the station’s new promotional tagline ‘Six Billion Stories and counting’. 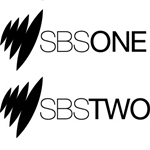 On 1 June 2009, SBS replaced its digital World News Channel with a new channel — SBS2 — featuring foreign-language news bulletins during the day and a mix of time-shifted and exclusive program content in the evenings. The channel was re-launched again in 2013 with a focus on younger demographics. I am wondering why Letters and Numbers show is no longer? I am not aware of any plans for SBS to bring back the program. Mostly foreign-language news bulletins during the day and movies in the evening. Some entertainment programs appear on SBS2. NITV also features multicultural programming. A small point I should make here, SBS did not pioneer UHF broadcasting in Australia, several regional stations were using UHF for translator services when VHF allocations, for one reason or another, were unavailable. Station NBN-Newcastle was allocated UHF Ch.69 for its Dungog translator. This was the Highest UHF channel available. The lowest UHF channel, by he way, was Ch.21 but for technical reasons channels 21 to 27 were not used, neither were channels 31 to 34 or 35. I admit I’m not sure exactly when NBN started the UHF service to Dungog but I’m fairly confident it was somewhere around 1983 or so. I am trying to locate a copy of the television coverage of a football match between south Australia and AC Milan played at Hindmarsh stadium Adelaide on 28th May 1980. It was broadcast live on the 0/28 network in collaboration with channel nine and commentary was by David Fordham and ken Cunningham. It was shown on tv on 31 May 1980. I was one of the players in this game and would love to get a copy of the game. Could you please check if this is in your archives or if a copy is available anywhere. AC Milan toured Australia in 1980 and 1993 and played several games in Australia including against the Socceroos. Hi David. I’m not aware of any such footage although you could try contacting SBS or Channel Nine in Adelaide (contact details are here) or possibly even the National Film and Sound Archive in Canberra. But I would suspect your chances of finding or obtaining said footage are very low. Comments: In the last two months I and many others in the Coffs Hbr area have suffered from extreme interference on all ABC and SBS TV channels to the extent that there has been complete loss of signal for considerable periods. This happens mostly in the early evening. This interference is rarely seen on commercial channels and is not so serious. I am wondering if it might be associated with the new Optus tower which has gone up in the Woolgoolga area in the last few months. Will SBS be televising world cup matches on Station number 33 or 34? Dearly beloved SBS, a plea from a regular viewer; would/could you please alter the time slot of Letters & Numbers to an earlier or later time whenever there’s some sporting event on, but not erase it? For a crowd here at The War Vets (Narrabeen) it’s obligatory viewing. It’s the only program that gives us a chance to stir our ancient brains into some sort of action and we’re left writhing with something or other when it is omitted! My/our sincere thanks in anticipation.